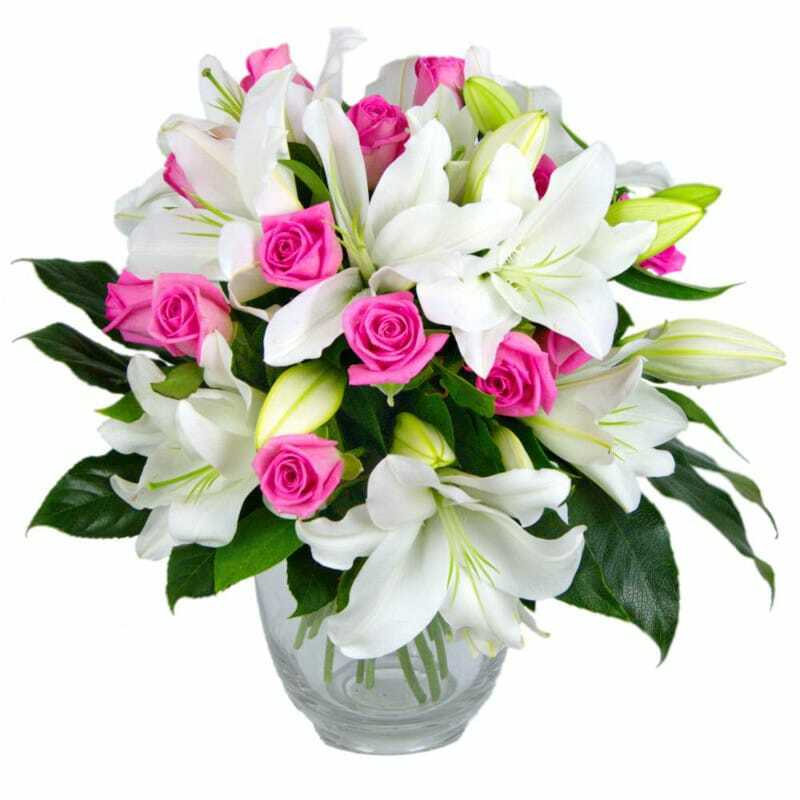 Part of our alluring Romantic Flowers range we bring you the stunning Rose and Lily Bouquet. This exquisite arrangement is an elegant collection of lustrous pink roses intermingled with crisp fresh white lilies, embraced with lush green foliage and then encased in luxury florist wrap. Using only the freshest and most vibrant flowers, this bouquet will help to set the mood for any romantic occasion. The Rose and Lily Bouquet is the ideal gift for birthdays and anniversaries or as a way to say thank you or sorry to a loved one. This lovely bouquet which is selected and arranged by our expert florists then gift wrapped to show that special person how much you love them. Have these flowers delivered 7 days a week throughout the UK. Your flowers will be delivered in our special delivery box to prevent damage while in transit, so they arrive in excellent condition all for just £39.99! For that extra special personal touch a delicious box of Lily O'Briens Chocolates or a chic glass vase your beautiful fresh hand-tied Rose and Lily Bouquet bouquet. We also have a large selection of flowers in our Romantic flowers as well as a many arrangements containing roses, lilies and an array of different gift sets to suit every occasion. Go Deluxe! Choose this option and our expert florists will add 50% more beautiful flowers for just £10.00!